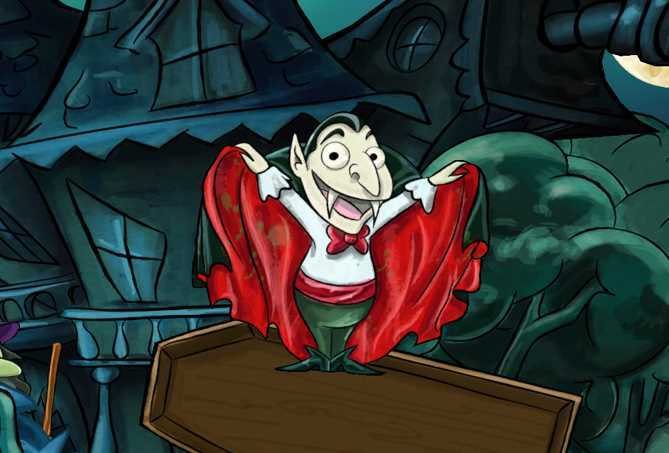 Well done book app that brings a haunted house to life to create a spookfest that is more silly than scary. 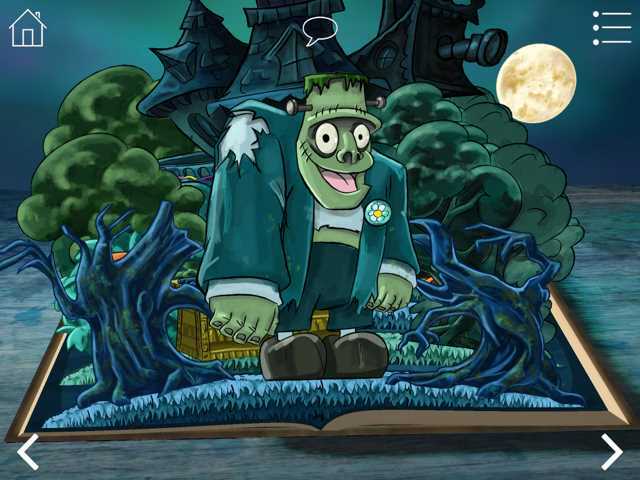 Presented in the format of a 3D pop-up book, each of the 11 haunted house scenes offers interactive things for kids to do. Kids play with an adorable group of things-that-go-bump-in-the-night, including a zombie, a skeleton, a Frankenstein monster, a witch, ghosts, and more. In one scene, kids strip back layers of bramble and brush, awakening monsters as they go, and hunting for hidden jack-o-lanterns. In another, kids play a game with Wilma the Witch and the Mummy involving whacking playful ghosts who try to slime them as the take a ride on the Ghost train. One game has kids slicing through brains and other balls of gloop that the monsters throw at you (ala "Fruit Ninja"-type gameplay). Players will also mix up a magic potion, decorate a scary pumpkin, tickle a monster, and try to put up Halloween decorations without waking Uncle Dracula. 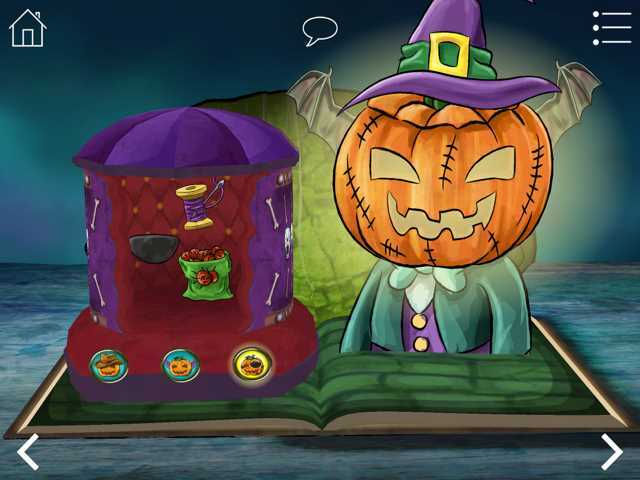 With appropriate eerie sounds and fabulous 3D scenes, kids will thrill to this spookfest that is more silly than scary. Its fun to play games within a book app format. 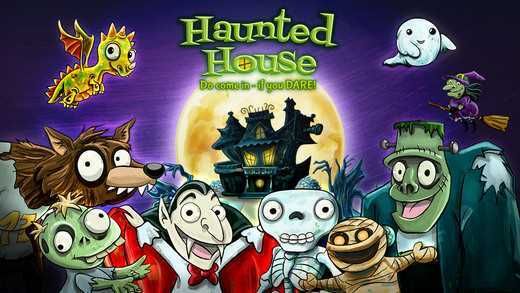 And to motivate kids to replay the pages, Haunted House - 3D Pop-up Activity Book lets kids earn badges for completing certain spooky challenges. With whacking of monsters and a gentle but still scary vibe, this app is best explored by kids in early elementary school. Haunted House - 3D Pop-up Activity Book might be too much for preschoolers. Parents will need to use their judgment about their kids ability to handle monsters' scariness. The general directions are spoken aloud, so kids don't have to be able to read to explore this app. 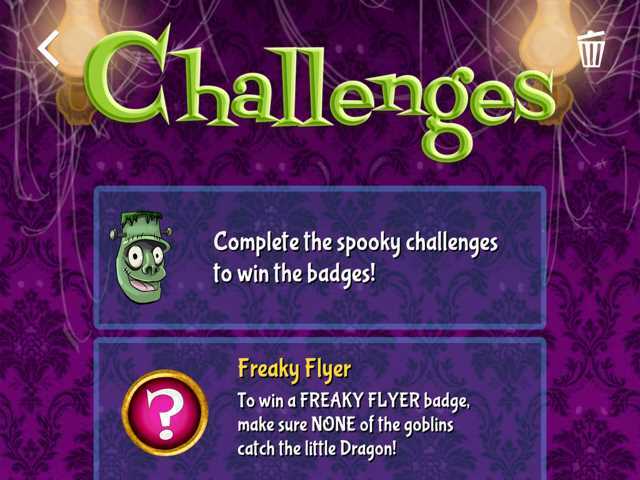 This Haunted House - 3D Pop-up Activity Book app review was written by Jinny Gudmundsen.